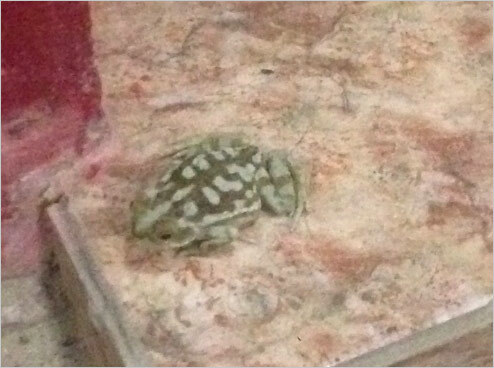 At the beach house, the nocturnal toads that keep me company at dinner time are happy. The rain is back. Summer has done another runner. Yesterday evening I took the dog out for a walk along the sandy beach, in front of the small seaside town where I'm staying. Just like me, the canine is an immigrant into Argentina for most of the year, and a rural resident turned city-dweller. But "Pepe" (no relation to the ex-Uruguayan President Pepe Mujica) was born here in Uruguay. Whereas, I hail from the crowded southeast corner of a damp island that hovers off the northwest coast of continental Europe. The dog is visiting his country of origin, and seems happy about it. (I'll have to wait until late January before I visit England.) He's a good-natured beast, always approaching other dogs with a wagging tail and friendly manner. Unfortunately, many of the local mutts are not so amenable. But Pepe is big enough and experienced enough to defend himself if needed. He's had to see off various hounds on the streets of Buenos Aires, and regards the people that makes deliveries with a high degree of suspicion. India was the world's richest country nearly 2,000 years ago. In fact, we were referred to as the "Sone Ki Chidiya." Then, I encourage you to join other true Indians in the first-ever mega summit "REBIRTH OF INDIA" for FREE. This is our LARGEST EVER FREE PUBLIC SUMMIT available for EVERY INDIAN CITIZEN. Investors have to balance two sides of the personality coin as well. Excessive pessimism and caution will lead to sitting on too much cash (or cash proxies, like treasury bills) over long periods of time, which will result in ultra-low returns. Whereas, uncritical optimism, such as throwing everything at speculative bubbles, is likely to lead to financial ruin, sooner or later. 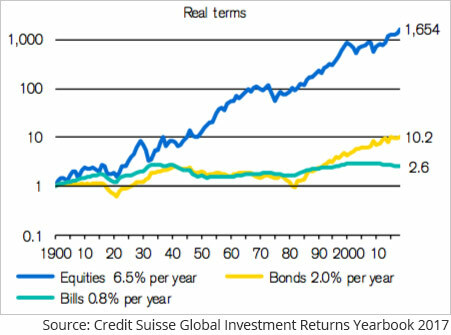 As a reminder of what's at stake, the following chart shows the historical progression of real (above inflation) returns on US financial assets since 1900: for stocks ("equities), bonds (10 year US treasuries) and bills (very short-dated bonds, equivalent to cash deposits). Below is a chart that shows how some different compound rates of return make huge differences to end results. 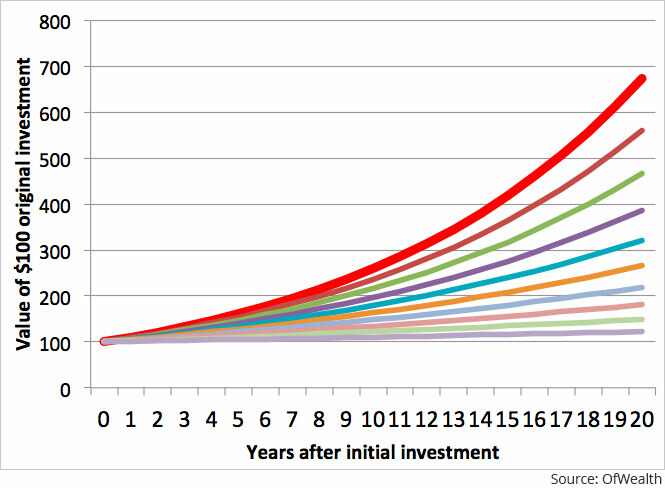 The bottom line, at 1% a year, adds +22% after 20 years, meaning it multiplies the investment by 1.22 times. The top line, at 10% a year, adds +573%, meaning it multiplies the investment by 6.73 times. That difference is similar to the likely difference between sitting on cash or investing in stocks over a typical period of two decades. But that doesn't mean investors should go all-in on stocks all the time. When they're relatively expensive, it's time to lighten up. When they're dirt cheap - such as after a major market crash - it's time to pile in. One thing is extremely clear - both in terms of the historical track record and simple financial theory. Buying stocks when they're cheap results in higher investor profits, on average and over time, than buying stocks when they're expensive - all other things being equal. Determining when stocks are cheap is as much an art as a science. But using a range of valuation ratios - P/E, price-to-sales, price-to-book, etc - builds a picture. It's also lower risk to buy things when they're near to the floor, rather than when they're balanced precariously on the high wire. There's never a guarantee that something won't fall further. But it hurts less from an already low height. Earlier in the week, I reviewed how markets performed during 2018, and the performance of my own recommended asset allocation. Practically every asset class was down in 2018. But the asset allocation did its job of reducing risk and minimising losses (see here). Since then I've discovered a couple of charts that show just how unusual 2018 was, in terms of the lack of profitable refuges for investors. The first looks at real (above inflation) returns for a selection of major bond and stock indices, plus commodities, since 2004. It's a bit small to read, but you get the idea. 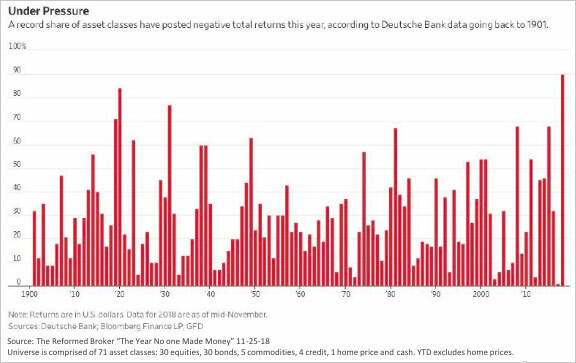 Last year was the only year when everything in the selection was in the red, meaning a real loss (although the magnitude of individual losses was undoubtedly greater in 2008, such as for stocks and commodities). The next chart casts the net wider, across 71 individual asset categories, although they're not shown separately. It also goes all the way back to 1901, but returns are nominal, meaning not adjusted for inflation. This shows 90% of the tracked asset categories lost money in 2018. That's the worst ever reading since 1901! (Although, again, the magnitude of individual losses in some other periods will have been greater, such as the Wall Street Crash of 1929 or the stocks and commodities in 2008). On the surface, this kind of information may look worrying. But it's actually the kind of thing that really gets my interest going. It means there are likely to be some decent bargains around. For example, quite a few country stock markets look pretty cheap these days. Using MSCI index data, here are a few examples, with their year-end price-to-earnings (P/E) ratios in brackets: Russia (5.7), Turkey (6.6), South Korea (7.8), China (11.9), Singapore (12.2). Obviously enough, Russian stocks continue to be exposed to geopolitical tensions, which could always flare up again. But they were up slightly during 2018, measured in US dollars. That's quite remarkable in a year when most commodities fell (Russia being a big commodity exporter), the US dollar was strong, and practically all stock markets plunged, especially emerging markets in general. This indicates Russian stocks are extremely well supported at their current low level. Or, put another way, investor interest is so low that there's no one left to dump Russian stocks (those that remain are "strong hands"). It appears that only a major catastrophe (a war, basically) could make them fall much further. Turkey suffered a currency crisis, as the lira was cut in half, but at least it's cheap. Despite the political issues and proximity to Syria and Iraq, it's been in a major bear market for so long that I plan to take a closer look. South Korea just looks plain cheap. Being an export country, it could fall further in a global recession. But with a P/E around 8 - similar to the US market at its early '80s low, before a multi-decade bull market - it looks pretty interesting. On the face of it, there's a huge amount of bad news already baked in. I've thrown in China, although the P/E is 12, which is higher than the other emerging markets mentioned. The index includes a lot of big, growing internet companies (e.g. Tencent, Alibaba, Baidu) which drags up the index P/E, since those types of companies warrant higher multiples (but not as high as their American cousins have traded recently, such as Amazon, Netflix and so on). My impression is there's now a lot of value buried in the Chinese stock market, but it needs more study, and China comes with its own, unique risks. Singapore is in there as it's relatively low growth, but also an extremely low-risk place. Buying the country index at 12 times earnings is likely to result in solid, high single-digit dollar returns over the long run. At least, that was my view when I wrote about it back in September (see here). Since then it's got a bit cheaper, so perhaps around 10% a year would be a reasonable expectation now, on average and over the long run. In the coming weeks, I'm going to take a closer look at these cheap markets and emerging markets in general, which sold off hard in 2018. (Note: some EMs, such as India and Indonesia, still look richly priced). Watch this space. In the meantime, while I've been writing, the wind has strengthened and a new rainstorm has moved in, lashing the house from the seaward side. The toads will be ecstatic. Please note: This article was first published in Of Wealth on 10th January 2019. Rob Marstrand is the founder of OfWealth, a service that aims to explain to private investors, in simple terms, how to maximise their investment success in world markets. He has spent 15 years working for investment bank UBS, the world’s largest wealth manager and stock trader with headquarters in Switzerland. During that time, he was based in London, Zurich and Hong Kong and worked in many countries, especially throughout Asia. Later, he was Chief Investment Strategist for the Bonner & Partners Family Office for four years, a project set up by Agora founder Bill Bonner that focuses on successful inter-generational wealth transfer and long term investment. Rob has lived in Buenos Aires, Argentina for the past eight years, which is the perfect place to learn about financial crises. We request your view! Post a comment on "After 2018's Falls, There Are Some Cheap Stock Markets". 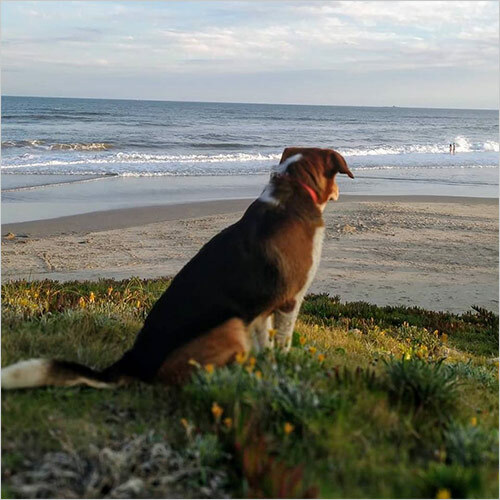 Thank you for posting your view!